The International Warehouse Logistics Association (IWLA) is the unified voice of the value-added warehousing and logistics industry, representing third-party logistics and warehousing service providers. The core mission of the association is to provide ideas and information to warehouse logistics providers information to help members run high-quality, profitable businesses. But it’s the association’s deeply rooted history that makes IWLA what it is today: A 1997 merger of the nearly 80-year-old Canadian Association of Warehousing and Distribution Services (CAWDS) with the American Warehouse Association (AWA), which was founded in 1891 – making IWLA one of the oldest associations in existence today. In fact, AWA is a founding member of the U.S. Chamber of Commerce. This blog pays tribute to this rich history as it transitions into a modern-day digital documentation of the association. From past to present, IWLA leadership hopes this blog is a beneficial source of information and serves as a guide for future generations of members who will continue to strengthen the association. Help members run high-quality, profitable warehouse logistics businesses. 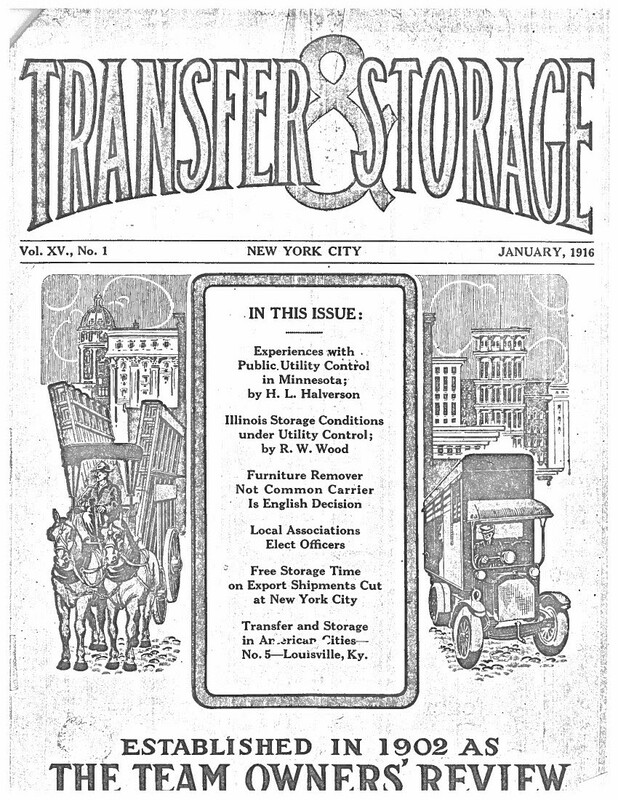 The Transfer & Storage Monthly Newsletter was issued to members of the American Warehousemen’s Association circa 1916. Looking forward to this new feature IWLA is offering our members. I just returned from the DC Fly In and Council/Committee meetings. Our members were energized and passionate about our industry. Warehouse management system is working in 21st century. Its a smart technology trend in Transport and Logistics industry.